They were supposed to reap the rewards of heroes. That's what everybody told them. It was a notion that went sour fast. One sacrificed himself to save an old co-worker's place in the world; One thought he had it all, but his business partner couldn't keep from fleecing him while he was off fighting; The other returned to discover his girl was only his when safely tucked inside the locket he carried off to battle. Three fliers, and to a lesser extent their mechanic on the ground, formed a lasting bond over there while life carried on for those back home. They gather to mock their new lives, along with the politician’s promises, while slugging back liquor and toasting their old battlefield mates. “Let’s all stick together. One for all and all for one. To the squadron,” says Gibby. “To the birds that were lost,” says Woody. “To the lost squadron,” Gibby adds, and they drink. RKO’s The Lost Squadron, the first film David O. Selznick supervised during his tenure there as vice-president in charge of production, specifies that it is “not a war picture” in its promotional material, but nonetheless opens in the crowded European skies, November 18, 1918. Our boys are involved in an air battle with German fliers right up until the time their wristwatches read 11 o’clock. Pilots from opposite sides, who had aimed machine gun fire at one another just seconds ago, are shown to part peacefully, acknowledging one another with a salute of two fingers to their brow before heading back to their respective barracks. 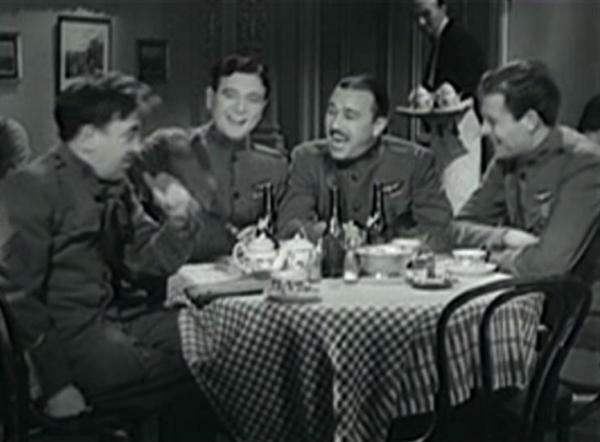 Another soldier asks Captain Gibby (Richard Dix) why they had bothered going out to look for trouble today, of all days. “We were just kissin’ ‘em goodbye,” Gibby says of the opposing fliers. This was a shocker! Robert Armstrong greets Dix with a good deal of gusto. Robert Armstrong’s non-Kong pre-Code performances are suddenly growing on me. 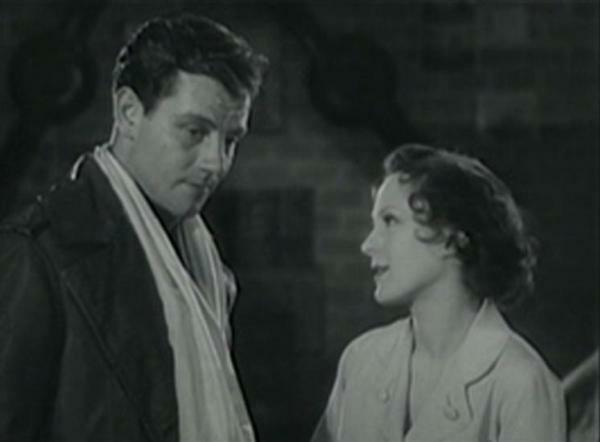 Armstrong only mildly annoyed me during Panama Flo (1932) and then had a good showing on my TV this weekend opposite his Son of Kong co-star Helen Mack in Blind Adventure (1932). But his Woody in The Lost Squadron topped each of those. Woody was the one who assumed his finances had been well looked after, but returns to very bad news from his lawyer. He has a taste for liquor that doesn’t go with the job he eventually lands as a Hollywood stunt flier and leaves his loving sister, simply called The Pest (Dorothy Jordan), pleading for him to stay sober. Joel McCrea is Red, the young gun who returned home to reclaim his job only to discover one of his old co-workers was being pushed out the door to make room for him. Not only is the company cutting back, but this fellow’s wife had just been sick and is now having another baby. Red turns down the opportunity to see his old boss claiming he wants to see the rest of the world, but the secretary gives him a big kiss on the cheek knowing that he’s really just bowing out gracefully to save the other worker. Then there is Fritz, played by Hugh Herbert, yet again absent most of his usual clowning. Oh, he’s still the screw-up of this group, not even a flier but a ground mechanic, and he seems to know that he would have turned out no good even if there hadn’t been a war to interrupt his floundering. 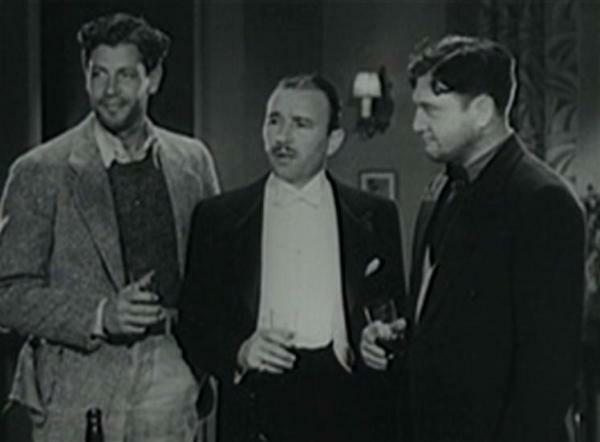 While the other three men compare notes about what they’ve lost, Fritz beats them all by owning up to not having a nickel, a job or a girl. 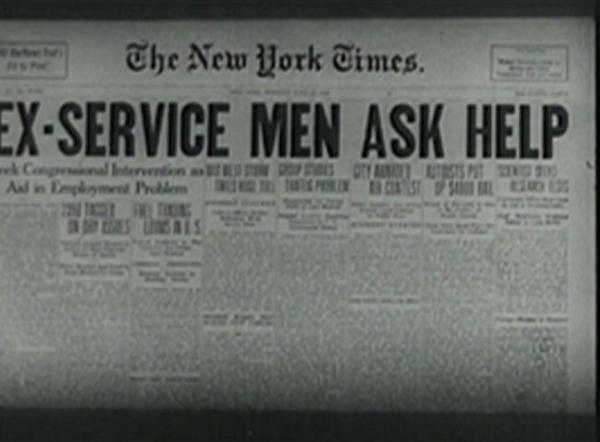 Time passes through a series of newspaper headlines cataloging hard times and the plight of war veterans. Congress disputes the Bonus. Service men are forced to bread lines. And our fellows are riding the rails. Three of them at least. Gibby, Red and Fritz arrive in Hollywood to meet up with Woody, who’s been doing well stunt flying for the movies. The three shabby vets make their way to the premiere of “Von Furst’s Thrilling Aviation Epic SKY HEROES with Follette Marsh.” Yes, it’s the same Follette, played by Mary Astor, who has continued to follow her ambitions and is now married to her director, Von Furst, played with great gusto by, of all people, Erich von Stroheim! After Follette and Von Furst, conveniently called Von throughout the movie, say a few words at the Sky Heroes premiere, a car pulls up containing a pretty well lubricated Woody, decorated by a beauty on each arm. As Woody makes his way to the mic the boys call to him. He's overjoyed at seeing them and leaves the emcee and his disappointed groupies behind so he can greet the fellows on the other side of the ropes. Woody soon sells them on the idea of flying stunts with him, in essence reforming their old squadron. 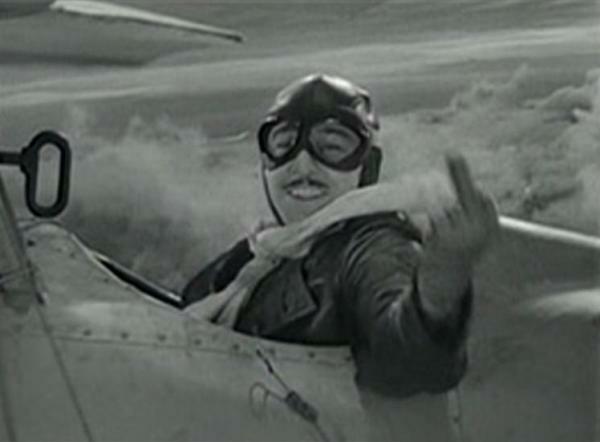 “Now I know the difference between flying in the army and flying in the movies,” Fritz says to Gibby after an early stunt flight. The promotional material turned out to be right. 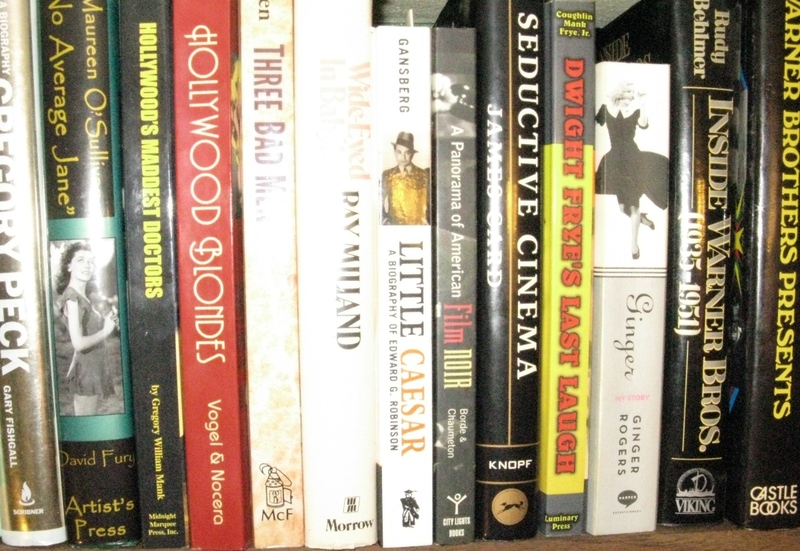 After our characters settle in Hollywood it isn’t really a war movie any more. But all of that camaraderie and brotherhood still exist and thanks to their stunt work The Lost Squadron still looks a lot like a war movie! Most notably the men, especially Gibby, still have to go to battle with a German every day. 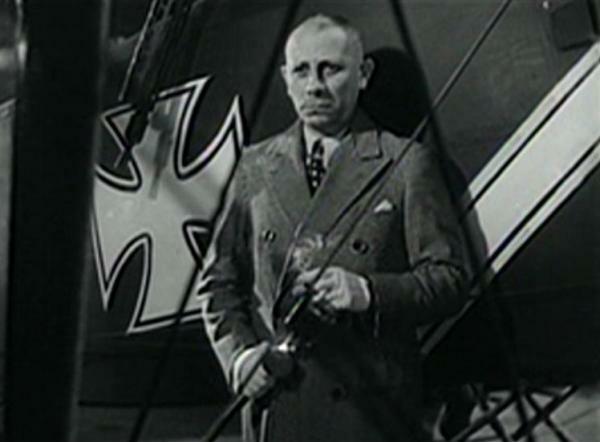 Erich von Stroheim biographer Arthur Lennig writes that his subject is “simply delightful” as the fictional film director Von Furst and, “when the plot requires him to be a villain, he once again becomes simply the ‘man you love to hate’” (311). Red races off to the sea with a rescue crew to retrieve Gibby. The Pest hops on board as well and we’re left to wonder who she’s really falling for, older Gibby or Red, who’s just about the right age for her. Mary Astor is left with very little to do in The Lost Squadron, her Follette simply acting as the wedge between Gibby and Von Furst. Von Furst takes his grudge too far and is soon taking steps to act out his bloodlust right on his movie set. This is where The Lost Squadron becomes a bit unbelievable, though I’d imagine many of those working on it enjoyed the novelty of a murderous film director. Still, it's fun to watch and it's hard not to take your eyes off of von Stroheim, who does his best to make the fictional Von as disgusting as possible. 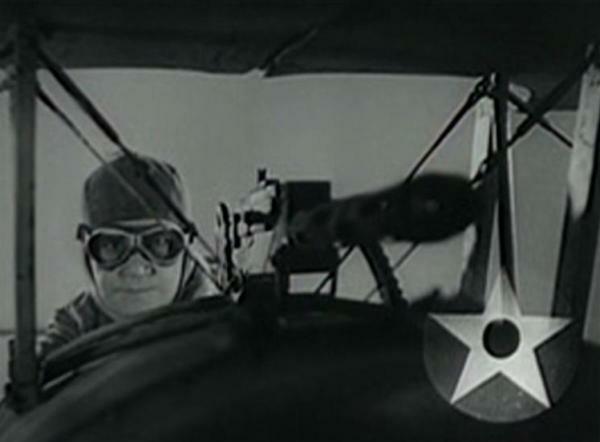 The Lost Squadron itself was directed by George Archainbaud, who kept very busy from the time he entered movies in 1917, but is best remembered today for his later work on TV Westerns such as Hopalong Cassidy and The Gene Autry Show among other titles. 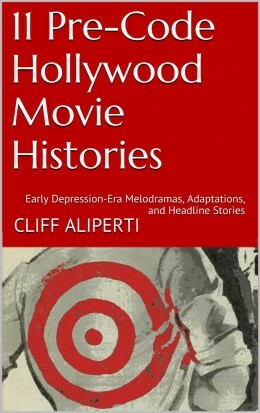 Other movies he directed from this period that you may have run across include Thirteen Women and The Penguin Pool Murder, both also 1932 RKO productions. 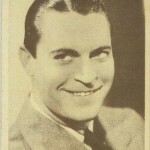 Joel McCrea was attached to the production from very early on, but Pat O’Brien was originally intended to star and Paul Sloane direct. Film Daily also places Eric Linden in the pre-production cast, though I can’t picture him in any role other than the one played by McCrea. 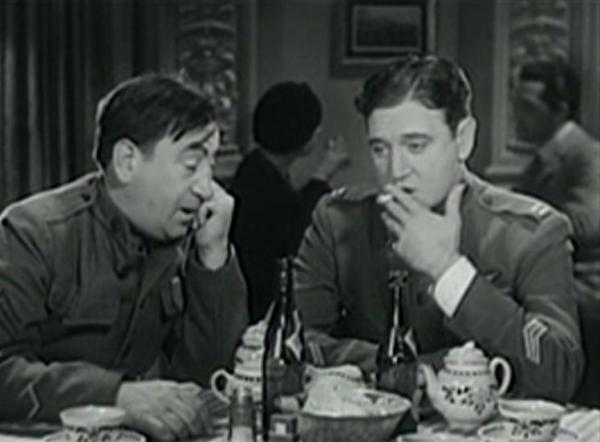 Richard Dix soon replaced O’Brien and Sloane wound up being pulled after he went on a drinking binge that postponed work on the movie (Lennig 309). Meanwhile, Wallace Smith spent just two weeks turning Grace’s story into a screenplay and Smith, again according to Lennig, was the one who added the juicy part for Erich von Stroheim. 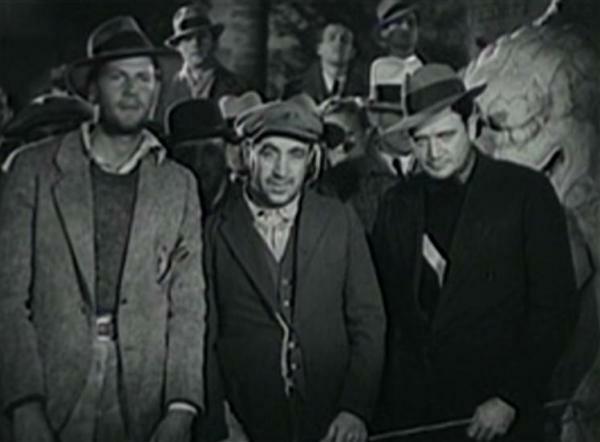 RKO finished up work on The Lost Squadron in February 1932 and saw it do huge box office in test showings in four cities including Syracuse, where it topped the house record held at that time by Cimarron, also starring Richard Dix. 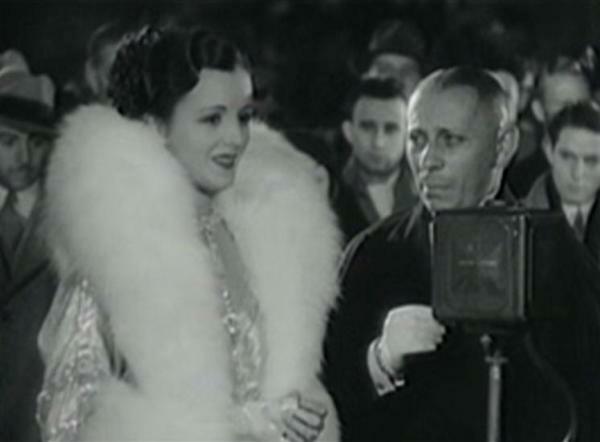 The movie was a smash with audiences and critics alike, who praised its combination of strong melodrama and exciting action scenes. Photoplay magazine named The Lost Squadron one of its “Best Pictures of the Month” in their April 1932 issue. 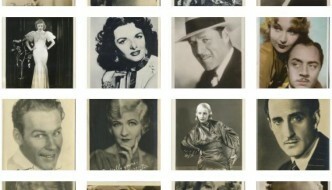 To better give a flavor of the time, other films so honored by Photoplay that same issue were: One Hour With You; Shanghai Express, Disorderly Conduct; Lady With a Past, Tarzan, the Ape Man, The Passionate Plumber, Alias the Doctor and The Impatient Maiden. 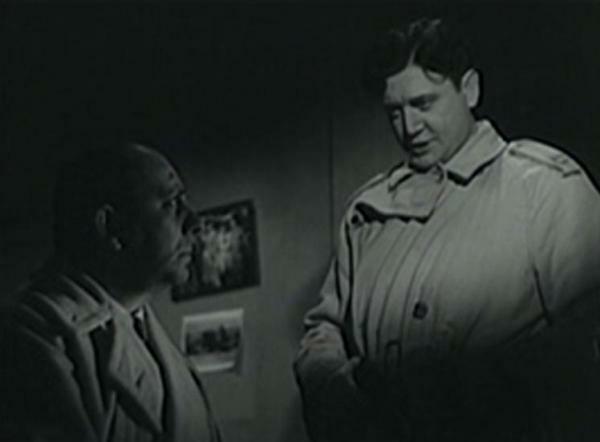 Richard Dix was also named amongst “The Best Performances of the Month” in that same issue. While I enjoyed the later action scenes, and got a kick out of Erich von Stroheim on the rampage, I almost wish Gibby and company had taken that freight train somewhere other than Hollywood. 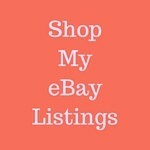 It seems funny to mention regarding a movie that I would have easily believed William Wellman being involved with (he’s not), but I would have preferred to see each of our forgotten men face more mundane everyday challenges such as those Richard Barthelmess battles in Wellman’s Heroes for Sale (1933). I felt a little bit robbed once they all went to work for Von, but The Lost Squadron does ratchet up enough action—and even a little romance—to remain enjoyable. 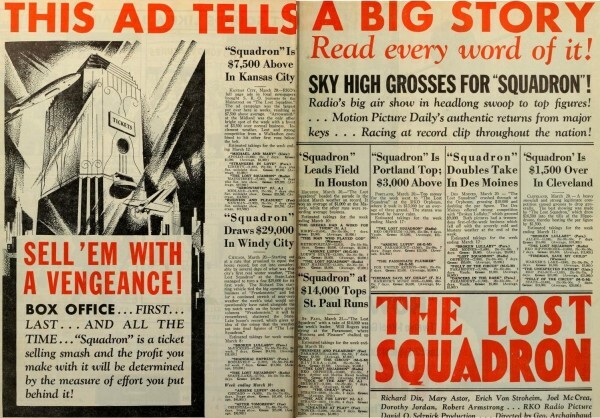 Click to enlarge - The Lost Squadron ad from The Spokesman Review, March 24, 1932, page 17. 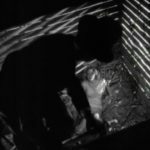 Probably the eeriest part of the movie is watching poor Mary Astor, used less here than even Dorothy Jordan, planted on the ground next to von Stroheim as he screams of death and air crack-ups to his fictional crew. Astor had since remarried, but her work on The Lost Squadron came just a little more than two years after her first husband, the director Kenneth Hawks, died in a plane crash with nine other crew members while filming scenes for Such Men Are Dangerous (1930). What must she have been thinking as she stared up while Stroheim calls for crashes and mayhem? The ending of The Lost Squadron is probably as shocking as it is far-fetched. While it is the general situation caused by the over-the-top Stroheim character that is hard to believe, the shocking part develops from the most believable aspect of the entire story: our squadron's love and loyalty to one another. I was surprised to see that Warner Archive has not released this title yet. That’s who I'd expect be responsible for any eventual DVD release. 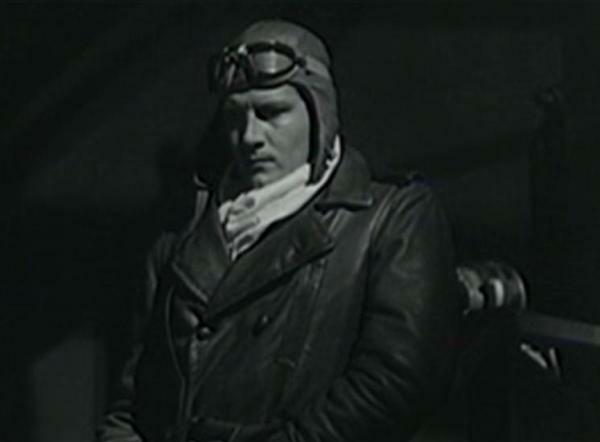 I caught The Lost Squadron on Turner Classic Movies and that is also where the accompanying screen captures come from. Check the top of TCM’s page about this movie for future air dates (none listed at the time of this writing). 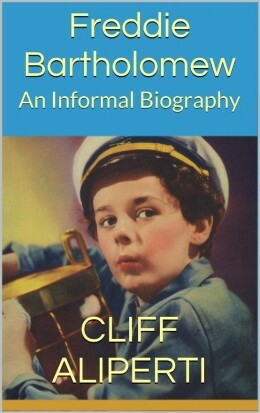 For another look at The Lost Squadron see David's coverage at The Man on the Flying Trapeze. Lennig, Arthur. Stroheim . Lexington: University of Kentucky Press, 2000.